Edmonton has some great parks and public spaces. They change and look different with the seasons, so get out and explore them in winter! 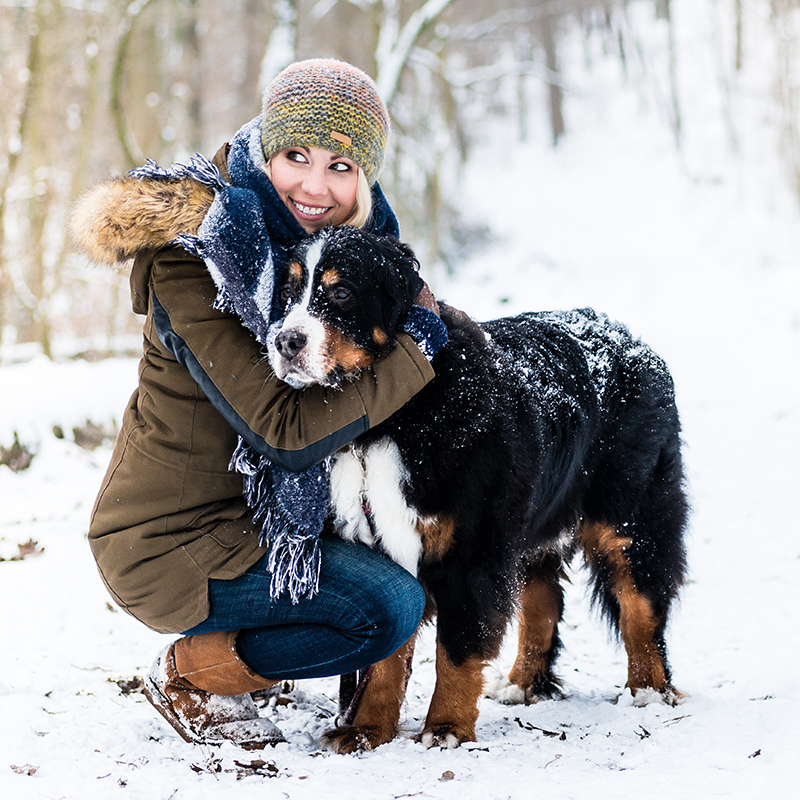 Bundle up and play in the snow with family and friends. Make snow angels, hold snowshoe races, and cozy up by a fire. Keep in mind that parks and public spaces are for all Edmontonians, so you might attract some curious onlookers! Planning to host a group of 50 or more people? See the Large Group Gatherings section for other considerations and requirements. Winter picnicking is a great way to get outside and enjoy the sunshine in winter. City of Edmonton picnic sites cannot be booked during the winter, but they can be used on a first come first served basis. It’s a good idea to take a shovel with you to clear snow off the table and seats. Remember to pack some blankets to sit on, too! Edmonton’s parks and river valley offer many different amenities. Get out and explore them! Many of the larger parks have picnic sites with fire and BBQ pits for marshmallow and wiener roasts. Firewood is not supplied in the parks, but can usually be purchased at gas stations or hardware stores. You might need a shovel, too, to clear snow out of the fire pits. 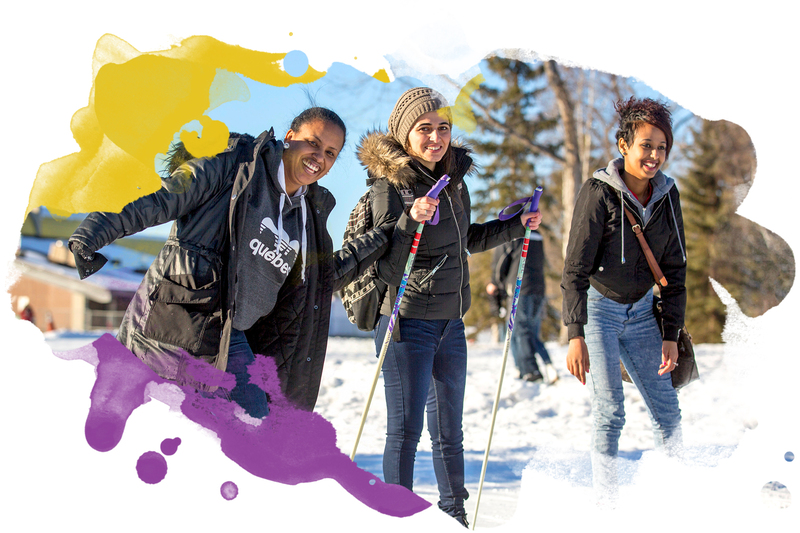 Edmonton offers a network of winter pavilions in the river valley, making it easy, enjoyable and comfortable to connect with nature in our amazing river valley parks. The pavilions are not bookable and aren’t meant to hold events in, but they are available to go in and warm up for a few minutes at a time. Skating ponds, IceWays, toboggan hills, snowshoe trails, and cross-country ski tracks – Edmonton’s park system has them all! Decide which activity you want to plan your party or event around, then choose a location. Why not try something new? Provide your cell phone number. Sharing a cell phone number is essential for any venue away from home in the winter. Give a brief description of the events and activities. Invite guests to take their own equipment for the listed activities, if they have any (e.g. skates, snowshoes). Remind picnickers that they’ll be outside, so they will need hats, scarves, winter jackets and snowpants, mittens, and winter boots. Suggest people take their own thermal mugs to keep their drinks hot while they’re outside. And remember to make sure your site is left clean and tidy at the end of your event! Dogs are allowed on unimproved and improved trails in parks, but not within 10 meters of sports fields, playgrounds, or gazebos. Check leash regulations, and be sure to have clean-up bags. No other pets are permitted on City Parkland.